Volatile, quick and poisonous, hunts down prey and takes no prisoners. Predator is an athlete with many years' experience, competing in the 400 metres and decathlon. He is a two-time Olympic medallist (winning bronze in 1992 and silver in 1996 as a member of the 4x400m relay team), a gold and silver medallist at the Commonwealth Games and World Cup, five-times European Cup gold medallist and four-times European Champion. 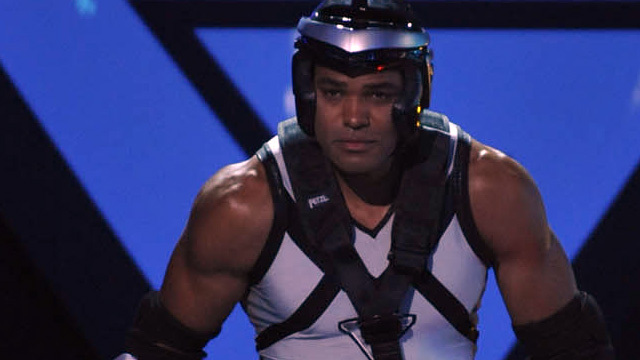 Predator won the TV show Superstars in 2004 and presented Du'aine's World for LWT. He is also the founder of Fit4Schools, raising funds to promote health and fitness in schools.